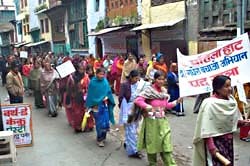 While the Uttarakhand Government has been going whole hog to make the state a truly energy efficient one by tapping its huge hydro-electric power potential, concerned citizens and social activists are joining hands to mobilise local people against the alleged "anti-river policies" of the state. "Official policies have viewed water only as a commodity and not as a community resource essential for survival," said Radha Behn, Chairperson of Gandhi Peace Foundation, one of the participants of the campaign. The recent land cave-in at Chai village, situated above Vishnuprayag Hydro-electric Project, allegedly due to the construction of a 11 km-long underground tunnel has given credence to the campaign. Fear of human displacement in other project areas like Maneri Bhali phase-II, Loharinag Pala and Pala Maneri have added to the anxiety. "Many rivers including the revered Ganga are facing threat as 220 big, medium and small dams would be built throughout the state in the coming years. Not only rivers and their ecosystems but the lives, livelihoods and culture of hundreds of villages are doomed," said Ravi Chopra of the People's Science Institute, who is coordinating the campaign. "We are not campaigning against hydropower generation. However, we believe that there are better ways to generate electricity that do not threaten the existence of human beings. The state Government needs to carefully study the issue and prepare a comprehensive policy with genuine involvement of the communities that are likely to be affected, so that they can also be partners in the development process," said Chopra. 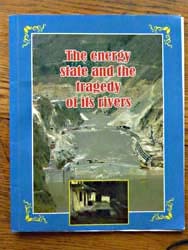 Report about the dammage by the dams and tunnels. Meanwhile, a team of geologists of the state Government and Wadia Institute of Himalayan Geology, Dehradun returned from a field visit to the Chai village in Chamoli district. The team was called for the second time by the Chamoli district administration to pin-point the causes of the land cave-in in the village. More than 30 houses were damaged due to vibrations caused by the underground tunnel of the Vishnuprayag Hydroelectric project. According to officials of the disaster management department, the report will be submitted to the Government in the first week of January. N S Nachphyal, principal secretary, disaster management has also asked the team of geologists to visit Maneri-Bhali phase-II project and inquire into the reported land subsidence. On the other hand, environmental activists charge that while glacier-fed rivers are threatened by power projects, spring-fed rivers in the state are drying up due to deforestation. "Rainwater runs off the denuded slopes leading to very little recharge of the rivers after rainy season and over extraction of water for ever-increasing demands further depletes the water flow. Sustained community-based efforts are needed to save Himalayan rivers," argued Ayan Biswas, one of the coordinators of the campaign. And to spread the message, many eminent activists including Rajendra Singh, Sandeep Pandey, Arvind Kejriwal, Dr Sudarshan and S R Hiremath are expected to join the campaign at different stages, the organisers said. Dehradun: A group of concerned citizens and social activists in Uttarakhand have declared 2008 as "Save The Rivers Year" and will launch a 15-day statewide campaign to mobilize communities against the anti-river policies of the government from January 1. As part of the "Save The Rivers Year"campaign, "padyatras" are being organized in 12 river valleys to promote mass contact. Public meetings and discussion with local communities will also be held. The walks are aimed at studying state of the rivers and a compilation of people's concerns. A signature campaign will be undertaken during the walk. The 12 teams will gather at Ramnagar in Kumaon for a conference to share their experiences on January 16-17. Specific programmes for the remaining year will be chalked out at the conference. A list of problems faced by people and their concern will be compiled and presented to the state government. A large number of local communities, particularly women's organizations, have extended their support to the campaign. 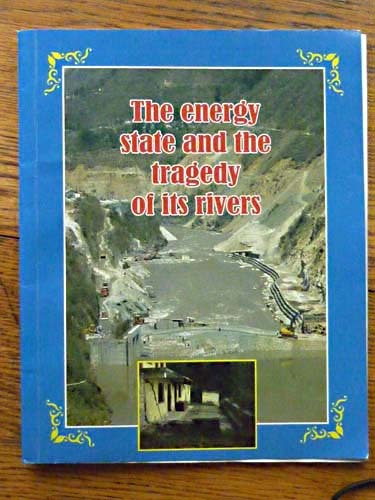 "We are not campaigning against hydropower generation in Uttarakhand. We believe, however, that there are better ways to generate hydropower that do not pose a threat to people's lives and livelihoods. The state government needs to carefully study the issues and prepare a comprehensive policy with the genuine involvement of the communities that are likely to be affected, so that they can also be partners in a real sense in the development process," said Ravi Chopra of the "Uttarakhand Nadi Bachao Abhiyan".